The studded CRUMPIA earring is one of the season's absolute must-haves. 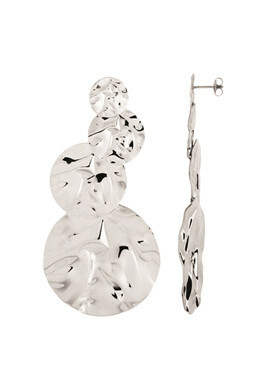 As seen on Scandinavia's hottest influencers, this statement earring is one you cannot miss. Hammered, metal surfaces in a silver toned finish.